Absolutely the best vacation yet. Can’t wait to come back! We loved all the activities the kiddos got to do. The scenery is breath taking. The staff is top notch, they go above and beyond and really seem to genuinely enjoy their job. Thinking of what to do on your vacation to Breckenridge this weekend? Check out some of these fun activities and events going on in the Summit County area! Summit County’s high-alpine climate is no match for even the greenest of thumbs. The harsh environment that creates much of what we love about the mountains can also limit plant growth significantly. But, there’s hope for your garden after all. It wasn’t easy, but the staff at BOB has broken down the four most essential Do’s and Don’ts of gardening in the high country with the most success and simplicity. DON’T SLACK ON YOUR SOIL. In case you didn’t notice, it’s super dry up here. Therefore, the soil lacks water and nutrients, making it tough for vegetation to mature, so give your soil a little TLC. Use premium topsoil mixed with manure, compost, nutrients and mulch. For overly acidic soil, throw in a little bit of wood ashes, too. DO BREED SPECIFIC BUDS. With Breck’s beauty comes thinner air, cooler temps, sudden changes in weather conditions and many other challenging factors for a green thumb. Certain types of plants are more likely to succeed in such a climate, especially if purchased locally, making them more likely to have adjusted to the extreme conditions. What should you fill your flowerpots with? DON’T CARELESSLY PLACE YOUR CROP. DON’T GROW YOUR GARDEN JUST ANYWHERE. Pay attention to where you position your plants. Is there a draft nearby that could lead to an untimely wilt? Are there windows close enough by to give it sun? How much sun, though? Is it direct or indirect? If you’re plant needs to be outside, how are you combating issues like wind, animals and varying temperatures? This is all crucial for getting your bulbs to blossom. DO SET YOUR SPROUTS UP FOR SUCCESS. Take heed of the type of plants you are growing. Research the different plants in your garden. Take note of how they’re affected by environmental conditions like weather and seasons, and find out how much water and direct or indirect sunlight maximizes their growth at high altitudes. Use fertilizer regularly, monitor your seedlings and re-pot or add soil as needed. If you’re trying your luck with herbs, they’ll excel when kept well-drained, in the sun and protected from wind. When growing blooms, note that seeds can take two years to mature. Plant seeds in the late fall and/or flowers no earlier than mid-June. Veggies grow best with proper irrigation and in risen beds. Now you’re ready to get growing! 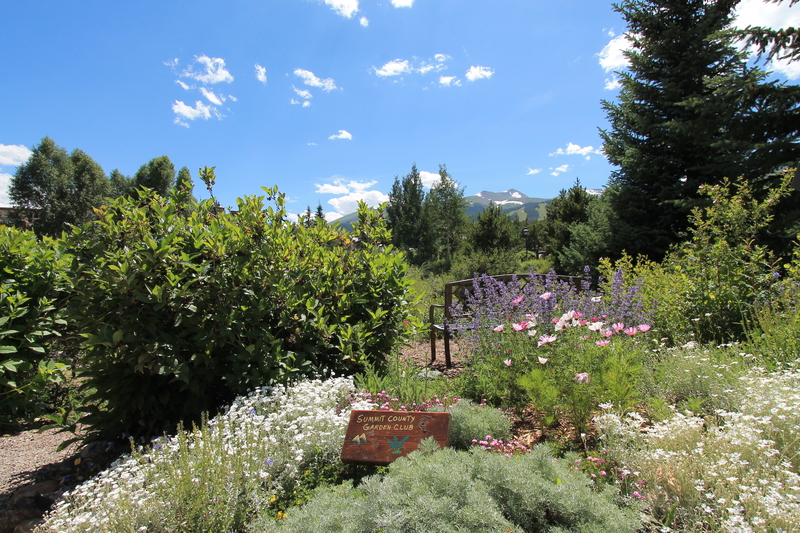 For more specifics on how to care for each type of plant, check out High Country Gardens and the Summit County Garden Club. You can even become a member, meet some pretty cool people, share gardening tips and recipes, as well as purchase a community garden plot. As your plants flourish, so will your green-thumbing skills, so get up here and get started!